Showering may be bad for your health, say US scientists, who have shown that dirty shower heads can deliver a face full of harmful bacteria. Tests revealed nearly a third of devices harbour significant levels of a bug that causes lung disease. Levels of Mycobacterium avium were 100 times higher than those found in typical household water supplies. M. avium forms a biofilm that clings to the inside of the shower head, reports the National Academy of Science. In the Proceedings journal, the study authors say their findings might explain why there have been more cases of these lung infections in recent years, linked with people tending to take more showers and fewer baths. Water spurting from shower heads can distribute bacteria-filled droplets that suspend themselves in the air and can easily be inhaled into the deepest parts of the lungs, say the scientists from the University of Colorado at Boulder. Lead researcher Professor Norman Pace, said: “If you are getting a face full of water when you first turn your shower on, that means you are probably getting a particularly high load of Mycobacterium avium, which may not be too healthy.” While it is rarely a problem for most healthy people, those with weakened immune systems, like the elderly, pregnant women or those who are fighting off other diseases, can be susceptible to infection. They may develop lung infection with M. avium and experience symptoms including tiredness, a persistent, dry cough, shortness of breath and weakness, and generally feel unwell. When the researchers swabbed and tested 50 shower heads from nine cities in seven different states in the US, including New York City and Denver, they found 30% of the devices posed a potential risk. Since plastic shower heads appear to “load up” with more bacteria-rich biofilms, metal shower heads may be a good alternative, said Professor Pace. Showers have also been identified as a route for spreading other infectious diseases, including a type of pneumonia called Legionnaires’ disease and chest infections with a bacterium called Pseudomonas aeruginosa. Hot tubs and spa pools carry a similar infection risk, according to the Health Protection. Mum’s Helping Hands Cleaning operatives are trained to remove, dismantle and clean all designs of shower heads. 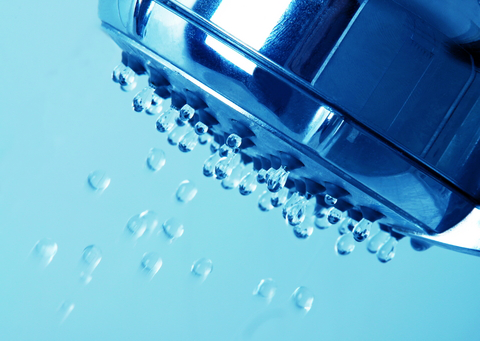 To ensure that shower heads are left scale free and harmful bacteria are removed. Remove and disassemble the shower heads and hoses from one another. De-scale the shower heads and hoses with de-scaling solution. Flush the showerheads and hoses through with clean water. Immerse the shower heads and hoses in our approved solution. Flush and wash the shower heads and hoses. Dispose of the waste water. Replace soft rubber or plastic washers. For more information about this service please contact us on 0115 942 0028.